Andrea Cecchetto first joined Markham Public Library in 2004. Andrea is currently a member of MPL’s senior management team as the Manager of Learning & Growth. In this role, Andrea combines expertise in organizational development with experience in service development and project management. Andrea is responsible for service development, organizational design, workforce planning and recruitment, employee and leadership development, and change management. Andrea’s area of specialization as an organizational development practitioner is in organizational culture change and staff engagement. 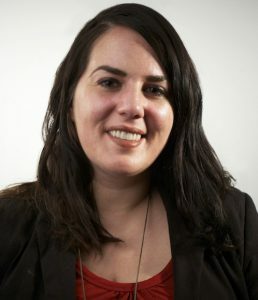 Andrea has used her unique staff engagement framework to design and manage several key initiatives at MPL including the Customer Service Revolution, which was the gold medal recipient of the Institute of Public Administrators of Canada’s Management Innovation award in 2014 and the Ministry of Culture’s Public Library Innovation Award in 2017. Andrea’s current projects include the development and implementation of MPL’s Digital Literacy Strategy, designing an Enterprise Risk Management program, creating MPL’s first Inclusion Strategy and The MPL Brain Project, a community collective impact project to improve brain health outcomes through learning. Andrea is pursuing her Masters of Public Administration through Queen’s University. Andrea holds a Master’s of Library and Information Science from the University of Western Ontario, a Master’s Certification in Organizational Development and Change Management from Schulich at York University and a Honours Bachelor of Arts in History and Political Science from Queen’s University. She is also a certified yoga instructor with a focus on body-positive practice, and is currently serving as the Chair of the Federation of Public Library’s Human Capacity Committee.